Preliminary advice (事前注意事項): Readers are strongly advised to obtain a thorough and up-to-date knowledge of hypnosis before practising it. 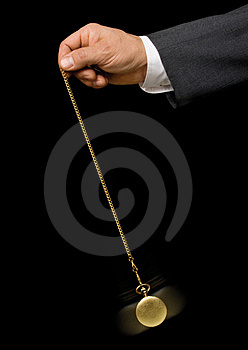 Initial use of hypnosis by beginners under proper supervision is also recommended. Do consult a qualified hypnotist in case of doubt or necessity. Caution (警告): Avoid driving or operating any dangerous machines or tools immediately after a session of hypnosis. This Summary is designed for self use only. Do not use it on anybody else. Sample script: Now fix your eyes on a spot on the ceiling and take three long, deep breaths. Inhale (count to 8), hold the air in your lungs (count to 4), and exhale slowly (count to 8), relax all over. Now the 2nd deep breath, in (count to 8), hold it (count to 4) and out (count to 8), and further relax all over. The 3rd deep breath, in (count to 8), hold it (count to 4), exhale slowly and send a wave of relaxation from your head all the way to the tips of your toes. Sample script: Now, enter the elevator and go back to the 1st floor. 1, 2, 3, 4, 5, 6, 7, 8, 9, 10. You are wide awake at the count of 5. One. You are waking up now. When you awaken, you feel full of pep and energy. Two. More and more awake! Three. You feel refreshed and perfect. Four. Energized and full of vigour. Five. Fully aware. Eyes open. Wide awake now. Take a deep breath, stretch your body and feel good.